This is a big ridge that is quite complex. You have to piece together two tracks and small singletracks to work you way south down the ridge. 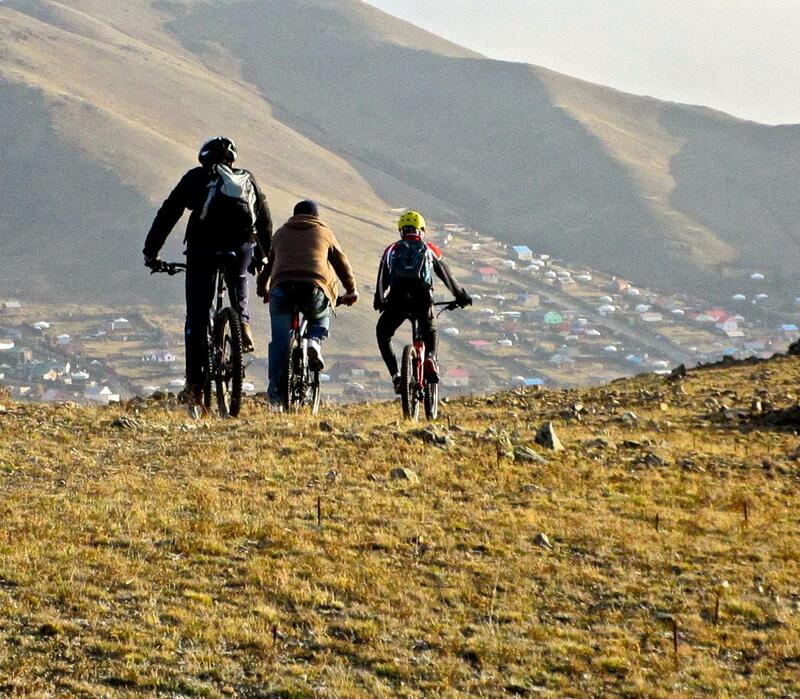 The area is a mix of big climbs, blazing descents, pretty forests, barren rocky slopes, and outstanding views. It takes a lot of physical effort and a lot of navigation. All in all, it makes for a great mountain biking experience. Review: The trail is about 8.5 mi long inside Selkh Am. If you count the downhill ridge ride from the fire tower above Selkh Am, then the trail/ride is 10 mi long. I prefer to start the ride all the way back at Selbe Amaralt and ride up to the fire tower (see map). This makes for a great 15 mi (24km) ride. A five star ride without question -- big climbs with huge DH payoffs and a great variety of beautiful scenery. Selkh Am West Ridge MTB Trail 5.00 out of 5 based on 1 ratings. 1 user reviews.